Within public policy schools, social entrepreneurship is a relatively new addition to curriculum. Traditionally, society has considered solving social problems the domain of governments and philanthropy. The emerging field of social entrepreneurship has introduced business tools and unlocked global capital markets to solve major social problems, with the promise of building enterprises that are both financially sustainable and solve the great social challenges of our time. “It seems difficult in the short or medium term to see major changes through public policy alone. 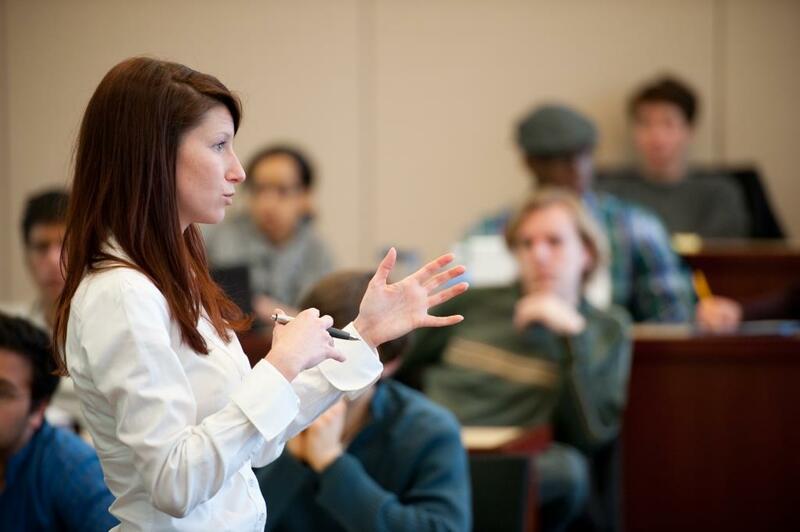 Our students look at government and they see it’s broken,” says Christine Mahoney, associate professor at the Frank Batten School of Leadership and Public Policy and faculty director of the Social Entrepreneurship Initiative at the University of Virginia. In 2011, Professor Mahoney, along with undergraduate students Lily Bowles and Kevin Pujanauski, secured a grant from the Jefferson Trust to seed classes, prize competitions, field work and faculty in social entrepreneurship. Since then, Mahoney and her colleagues have explored how social entrepreneurship can drive policy change. Their initiative, Social Entrepreneurship at the University of Virginia (or SE@UVA) has enabled thousands of students to build leadership skills at the intersection of business, government and society. “We are a school of public policy but we are also a school of leadership. We teach some of the basics of social psychology behind leadership, but we need to create opportunities for students to practice becoming leaders. That's how you get good at it,” says Mahoney. The initiative seeks to generate exciting public policy outcomes through the proliferation of innovative ideas. Professor Mahoney, who has conducted extensive research on lobbying and advocacy in the U.S. and the European Union, sees how social innovation by groups can be adopted and scaled-up by governments to bring about large-scale change. Social entrepreneurs are fixated on solving a problem, and they’ll explore and adopt whatever strategies do that most effectively. She cites the example of social entrepreneur John Kluge Jr. (a fellow at SE@UVA), who co-founded impact investing firm Eirene and then co-founded the nonprofit Toilet Hackers, in order to address the sanitation crisis around the world. Through both organizations he and his team have experimented with different investing, direct action and advocacy tactics – moving forward with what works and pivoting away from less effective strategies. “Most social entrepreneurs see a problem and they are passionate about solving the problem. They go and do the important up-front legwork, experimentation and pivoting to perfect their model. Then they can go to government to see it scaled up. But often, the government comes to them after they have proven it works,” Mahoney says. SE@UVA is interested in understanding what makes for the most successful social innovators and how their ideas can be scaled-up not only through the support of government, but also through public-private partnerships, social impact bonds and impact investing. Field Experience: students have had the opportunity to gain hands-on experience with social ventures in Brazil, Tanzania, Rwanda, Zambia and the Philippines. The Batten School has sponsored a Social Entrepreneurship Track within the University’s E-Cup. Today, SE@UVA offers six classes, some cross-listed under the Batten School, the U.Va. Curry School for Education and the U.Va. College of Arts and Sciences. The initiative also works closely with the U.Va. School of Engineering and Applied Science, the Darden School of Business and the McIntire School of Commerce. The excitement and interest from the student population is palpable: Public policy students work with engineering students on projects; business students discuss problems with education students; and faculty interact with community and business leaders. Although still in its early stages, Mahoney hopes SE@UVA will be a model for bridging the gap between seemingly intractable policy problems and innovative solutions. Bruce A. Vlk is the Director of Communications and Marketing for the Frank Batten School of Leadership and Public Policy at the University of Virginia.